Tuja Wellness hosted a 30 day green smoothie challenge where they would release new smoothie recipes every day. We’ve put together our fave Top 5. There’s nothin’ like a whole-food pharmacy full of good ol’ vitamin C! Meghan Telpner, creator of the UnDiet has our back on this one – health + taste = major smoothie love. **if using dried coconut – you might try soaking it for a few minutes before adding it into your blend. 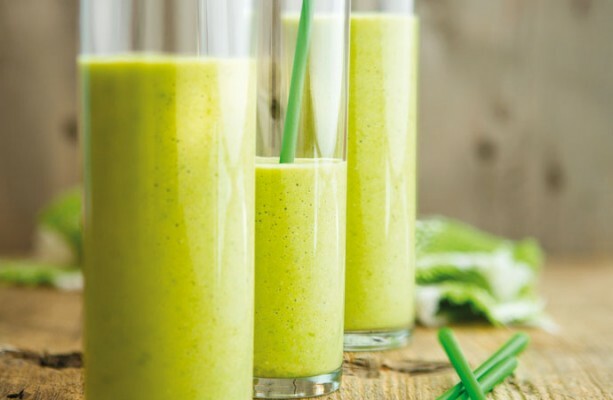 This recipe comes from Smoothe Operator in Toronto. Their blend, Spin My Frappe, is the perfect combination of healthy & sweet. Blend on bruthas and sistas. Let’s freshen up with this clean-eating gem. To be as clean as you can be, choose organic, ‘specially for those grapes. For all your blending, add more liquid if you find your smoothie too thick. Another tip for smooth(ie) sailing is to prep your ingredients for a week’s worth of smoothies, portion into baggies or containers and freeze. In the morning, you can pop it into the blender with your liquid of choice, blend and serve.